Grow labor is a growing agribusiness recruitment and staffing service agency. We pride ourselves in our ability to match those seeking full-time and temporary employment opportunities throughout the agribusiness industry. We are grateful for the long term relationships have built and continue to build within the industry. Grow Labor understands the needs and goals of job seekers and potential employers. Our understanding allows us to evaluate qualified individuals in order to place them with the employer their unique skills match the best. Grow Labor understands that success depends on the success of both employers and job seekers. We use our industry expertise to create partnerships for success. 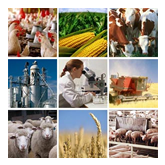 Grow Labor understands the needs of the agribusiness industry today. State and Federal regulations have created an environment that makes doing business more difficult and less streamlined. We also understand that meeting staffing needs is a major element in the difficulty of doing business. Our mission is to help bridge the gap between companies and potential employees by creating a database of potential employees as well as potential employment opportunities. Grow Labor evaluates the skills of the potential employee and determines appropriate placement based on the needs expressed by its business clients. Grow Labor can provide employees for a wide variety of clientele. We can serve your company if you need one employee or one-hundred. Information is the key to success in today’s business environment. Companies employ professionals who evaluate a variety of processes and procedures with the goal of increasing profits by increasing efficiency. Grow Labor can assist in these efforts. An accurate assessment of employer’s and potential employee’s needs may be the most valuable piece of information needed to streamline business operations. Grow Labor is ready and able to assist businesses and individuals with evaluating their employment needs. Companies spend hundreds of hours recruiting new employees. Advertising, accepting applications, checking references and interviewing individuals based on constantly changing needs can bring productivity to a halt. Let Grow Labor free up your current administrative resources by handling your company’s staffing needs. We know agribusiness and we have cultivated working relationships with those who have a desire to work. We know how to attract quality personnel and our staff has extensive experience vetting candidates for employment. Your company can rest assured that Grow Labor has the ability to meet your staffing needs. One of the biggest challenges to today’s agribusinesses is training. There are many excellent potential employees seeking work, but some lack specified training in needed areas. Grow Labor has the unique ability to train promising employees with specialized skills including: forklift operation, Class A and B CDL Training, and EPA RRP (Renovation, Repair, and Painting) Lead Safe Certification. If further training is needed, Grow Labor has a network of training professionals willing to assist us in our efforts to provide your company with highly trained employees invested in their positions.